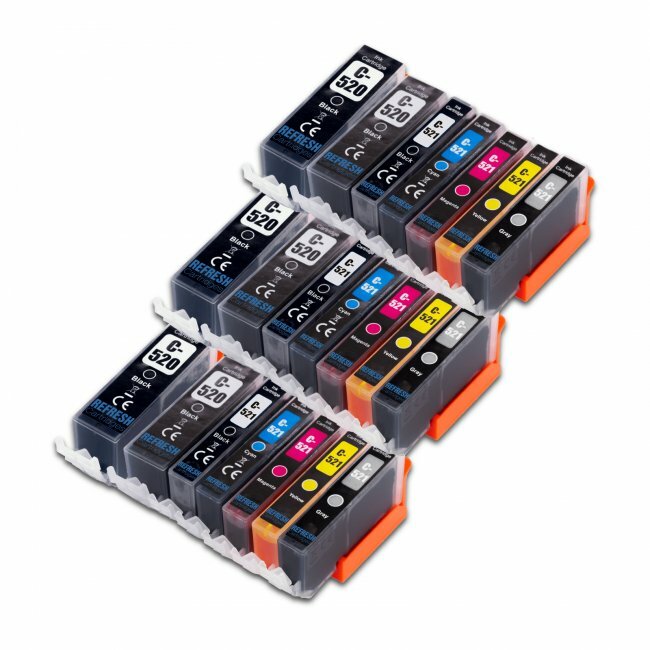 Our Canon PGI-520, CLI-521 Original Printer Cartridges are a great way to save on running costs, without compromising on print quality. 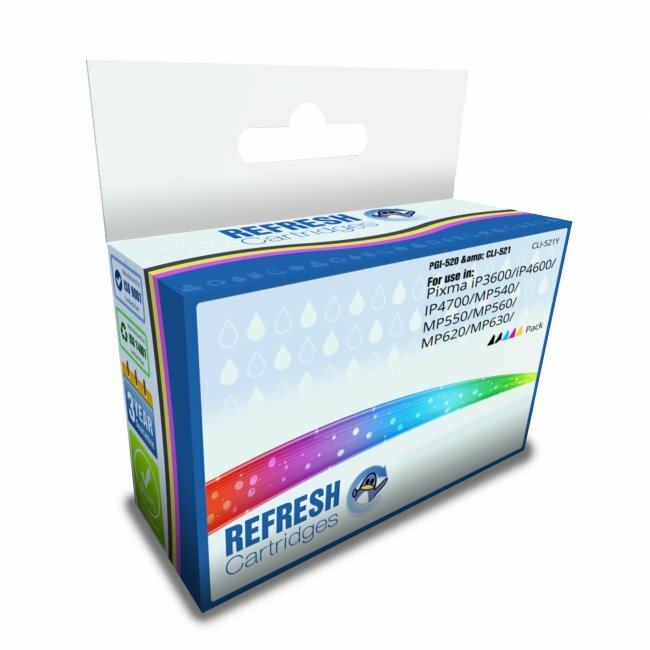 Each of our Original Canon PGI-520, CLI-521 Printer Cartridges are filled to a high capacity with high quality ink, comparable to the Canon Original versions. These Canon Original cartridges go in several Canon Printer models which you can find listed above. 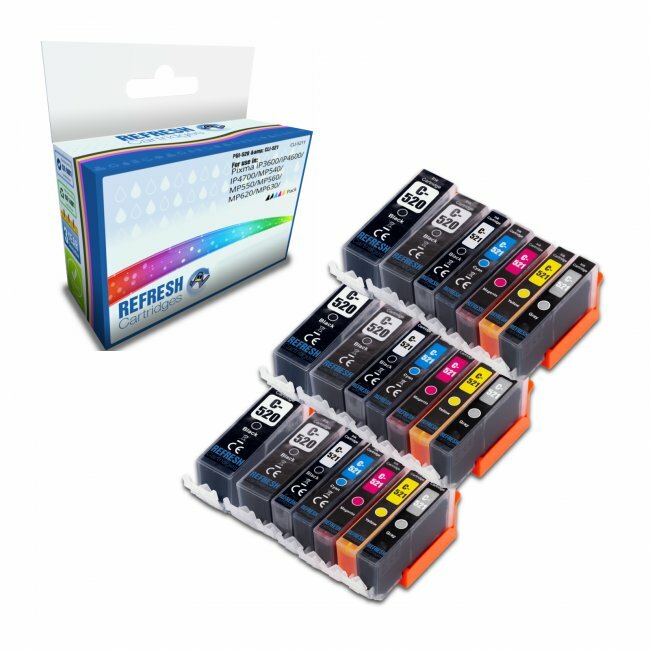 This valuepack is for one full set of colours which include (1x PGI-520BK, 1x CLI-521BK, 1x CLI-521C, 1x CLI-521M and 1x CLI-521Y) Original cartridges. All of our products come with our 100% satisfaction guarantee. Accepted AnswerI can confirm that these cartridges are indeed chipped and ready to use. Shipping to France is usually calculated on weight and the amount of items ordered and can be viewed before confirming the order. Fantastic service, arrived within 2 days of ordering. Cartridge/ink quality are excellent ! Will not be returning to rip off branded cartridges again !!! Brilliant option of being able to choose which, and how many, of each colour. Very good value, need to displat what the extra three cartridges are.